To start off and get the taste buds warmed up, I’d suggest getting stuck into three micro produced 5 year old’s. Sumsare 5 year old – potpourri, marzipan & rum and raisin. Say no more. Ladismith 8 year old – masterfully distilled and matured in the small Karoo town, ex gold medal show winner, and unique brandy legend. Oude Molen VOV – Aged 14 years, it was a tough choice between this beauty and its younger unique Solera sibling. Try it too if you can! KWV 15 year old – likewise with the KWV family, you’ll want to come back for the rest. But the 15 shines brightest in my sky. Oude Meester 18 yo – rich mocha, mellow dried apricots, and well structured wood. One for the black gold lovers. Here’s where I go out on a limb to top off the list. I have never tasted this one. 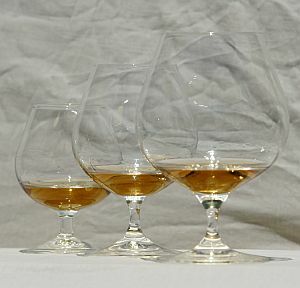 But from what I have heard, read and its recent “World’s Best Cognac” award at IWSC, its got to be worth a shot? Richelieu XO Cognac – Cant tell you why. But I’m expecting big things myself. Whether you are a ardent brandy and coke fan, potstill brandy connoisseur, or just general festival fundi, Fine Brandy Fusion has something for you. Enjoy a unique combination of sipping brandies, brandy cocktails, food pairings, music, entertainment and good times. Have fun!